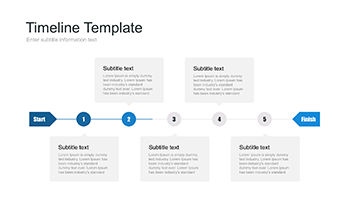 Sample timeline template for Google Slides - Free Download Now! Project management where it determines the milestones and terms of the project. History – shows the chronology of historical events, represents the biographies. Business – introduces the enterprise, company to investors, new customers; demonstrate the development stages and perspectives. Marketing – helps to systematize the plan of seminars, promotions, create timeline free projects, and present reports, analysis. Visualize information. 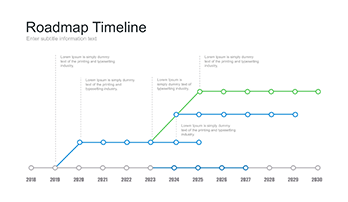 Boring topic presented in the form of a chart, table, timeline is perceived better. Thus, the audience will be involved and won’t fall asleep. Using such tools in your projects, you will present yourself as a true professional and create a positive impression. Have a support at a meeting. In case of missing the point or forgetting the idea, you can always turn to your visual assistant. Present the issue logically and coherently. Coherent topic development increases your chances to be heard. The listeners better understand the idea of the speech if one thought logically follows another. Avoid typical mistakes that are often made by those who create presentations on their own. High quality. If you frequently attend business conferences, marketing seminars, meetings, you’ve noticed that frequently speakers have a perfect report, project, but they face trouble at the most inopportune moment: demonstrating a presentation on a high-resolution display, it loses quality; as a result, the listeners can observe blurred slide, visible pixel, so on. 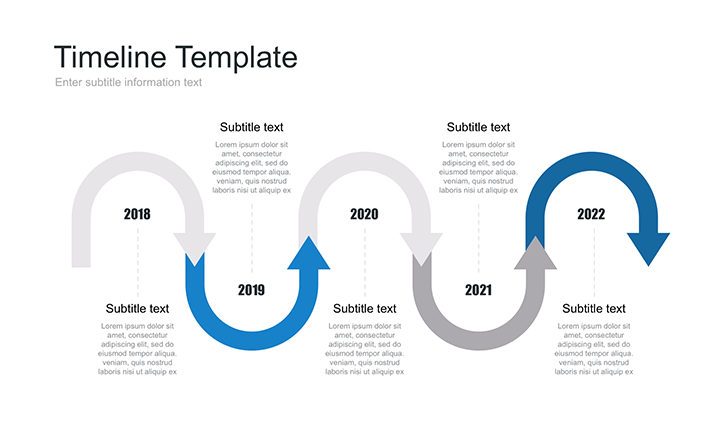 To avoid such an inconvenient situation, it is important to use high-quality approved templates. In our turn, we vouch for the quality of the slides presented on our site, including this one. Built-in tools. Adding this option, we tried to make your work efficient and easy. You can edit vector elements. Free download. Besides all these characteristics, you have an opportunity to get this high-quality ready-made slide for free! Just download it and enjoy working with the template! A multipurpose slide. 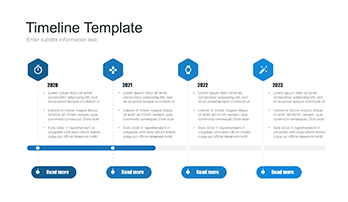 One uses Sample timeline template for various marketing and business project, such as reports, startups, business proposals, and many others. An easy-to-use premade template. This slide can significantly simplify work and save time. It is appreciated by many employees who don’t want to lose time. Your work is just to insert data and information.